We’ve Had a Facelift! How Do We Look? Just in time for Archives Month, we are pleased to announce our long awaited and much improved website. It’s the same web address, but it looks and feels very different! Help us celebrate by exploring this new window into the resources we have to offer you at the Wyoming State Archives. How can I find what I need for my research? How do I get a copy of my transcript / court case / cool photo I saw on your site? What do you have and how do I find it? I’m a government employee; how can you help me organize my records? What do I need to know before I visit the Archives? And if none of those work, just click on the button and we’ll see how we can help you! We invite you to wander through the site to see what treats we have for you: Look through LUNA, a searchable database that includes photos, maps, and oral histories. 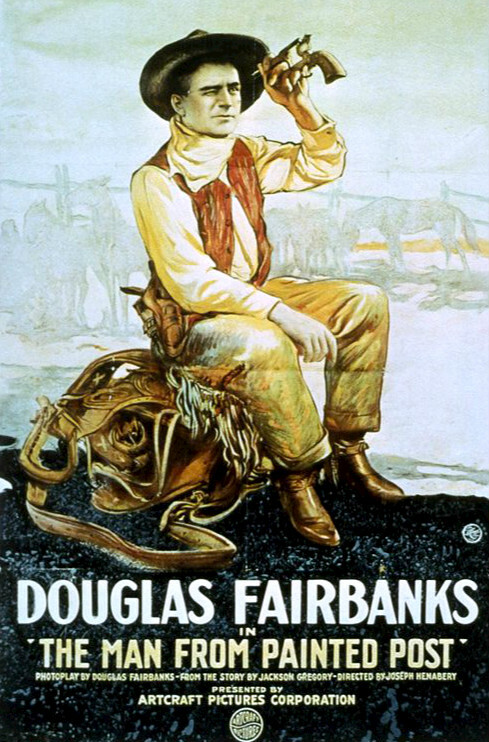 Try out the links to “finding aids” (descriptions and lists) for state government records and papers of individuals and groups connected to Wyoming history. Explore the online version of the Wyoming Blue Books, an encyclopedia of state history. And check out the many types of records we have for discovering your family history – or the history of your house. While you’re exploring, write down anything that doesn’t work (always a few bugs in the system, right?) or that you think is missing or could work better. Of course we’d also like to hear about what you loved or were surprised to find. Make our day! We want to make the site better and make sure it works for you. Tell us how and we’ll get to work. Though Monday’s total solar eclipse will not be the first seen in Wyoming, it will be the first in nearly 100 years. 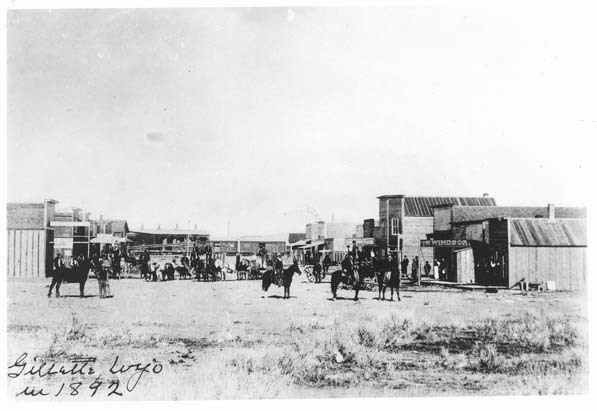 Of the 5 other total solar eclipses visible in the US since Wyoming became a territory in 1869, 3 have passed through Wyoming: 1878, 1889, and 1918. These unique events were memorable for many Wyomingites. 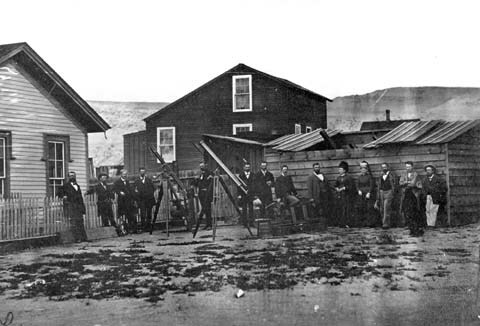 Eclipse viewing party with their telescopes at Battle Lake in 1878. 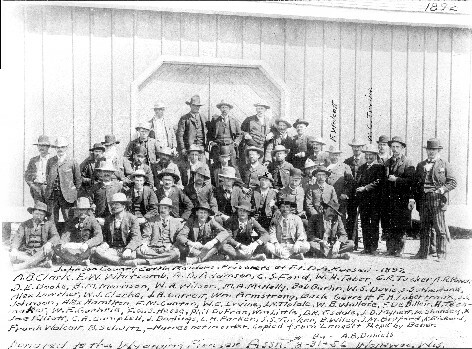 Thomas Edison is standing 2nd from the right. But the event surprised many in rural communities. In in the Big Horn Basin near Hyattville, Gus Allen remembered a horse race being delayed by the eclipse. 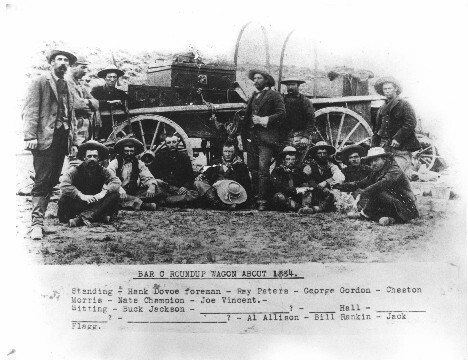 The race between his brother and their horse wrangler was held at a track at Joe Adle’s ranch. “I do not recall the day, or the month, but feel rather confident that it was in 1888 ; anyway, when the time came the world was there. At least all of our world was there. How vivid is the memory yet, of all the excitement among the gathering of frontiersmen. Everyone was so keyed up over the race that no one knew or had noticed that an eclipse was coming over the sun; but when all was in readiness and the two brother jockeys were getting their racers on the mark, it got so dark that everyone was appalled. The race was delayed, and we all gazed in awe at one another. I have no idea how long it lasted, but believe you me, it really got plenty dusky. Then it began to get light once more, and I can still hear those old roosters crowing, as all of Adle’s chickens had gone to roost. That must have been the shortest night those chickens had ever experienced in their lives. You can well imagine how shady it got that bright clear day, and how astonished we people were, being more familiar with cows than with astronomy. Though the path of totality cut through only the Northeastern corner of the state, the eclipse was nearly complete in the rest of the state. 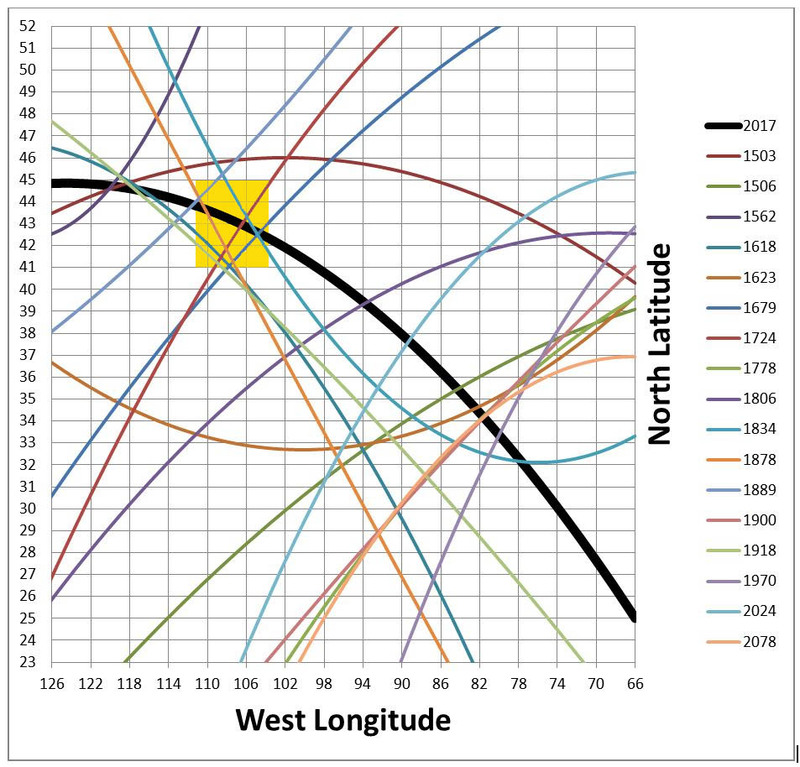 Several papers mentioned it was so dark that Venus (the morning star) was visible. On June 8, 1918, the total solar eclipse passed across the United States from coast to coast, as it will on Monday. One of the best places in Wyoming to view the eclipse was around Green River and Rock Springs. Two astronomical observatories were set up in the area by the Yerkes Observatory at the University of Chicago and the Carnegie Institution at Mt. Wilson, California. A small tornado narrowly missed the observatory in Green River on the 3rd, but thankfully it was operational on the 8th for the main event. 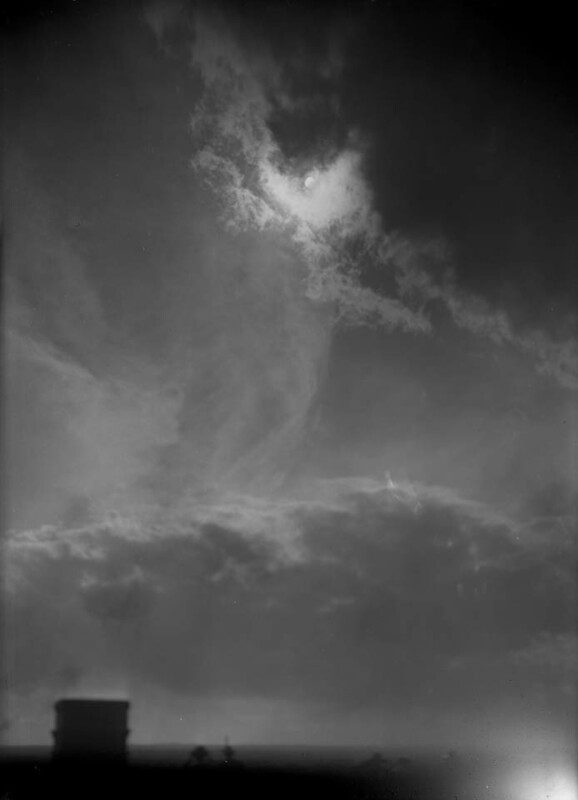 Cheyenne photographer Joseph Shimitz captured this image of the solar eclipse on June 8, 1918. The eclipse is not total at this instant. The clouds, which made for a striking photograph, created less than idea viewing conditions. Several people can be seen in the foreground at the very bottom of the frame. On the day of the eclipse, the view from Rock Springs was clear, but at Green River the sun was obscured by cloud cover. This dampened spirits a bit, but they were soon revived when Dr. E.E. Barnard, who was in charge of the Yerkes observatory, observed a new star that night which he named “Nova Aquilae”, as reported by the Rock Springs Miner. 6. 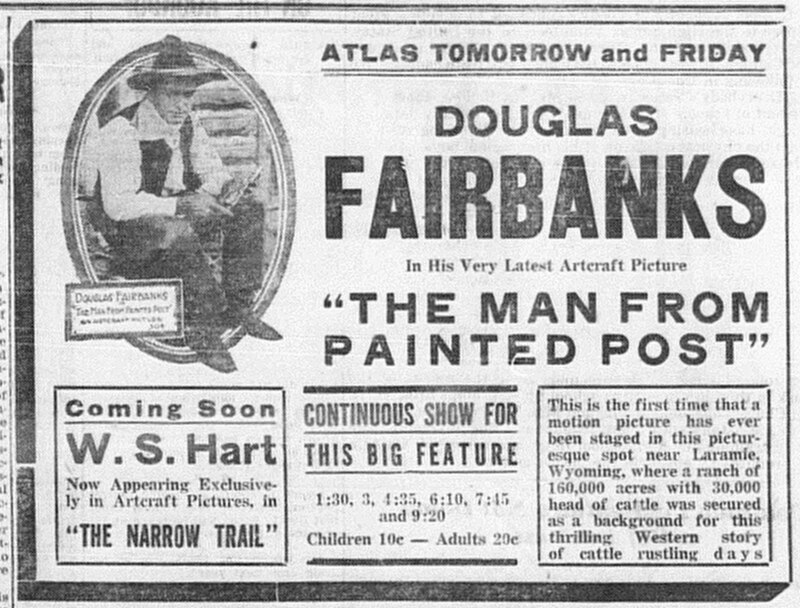 Rock Springs Miner June 14, 1918, page 1. Nova Aquilae 1918 is also known as V603 Aquilae. For more information about Dr. Barnard, the 1918 eclipse and Nova Aquilae, see The Immortal Fire Within: The Life and Work of Edward Emerson Barnard, by William Sheehan, page 405-407.